A staple grain for over 8,000 years, the yield of amaranth is similar to maize or rice. These grains are most commonly simmered and added to flour, cereals, salads, and soups. It is exceptionally high in protein as well as fiber, vitamin B, folate, manganese, magnesium, phosphorus, and iron. The health benefits of amaranth grains include lowering cholesterol, reducing inflammation, aiding in weight loss, maintaining healthy cholesterol levels, improving the immune system, supporting individuals with celiac related diseases, eliminating constipation and bloating, reducing risks of colon cancer and strengthening heart health. 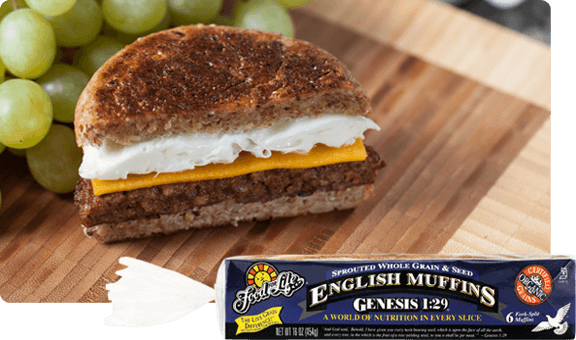 Food For Life uses organic sprouted amaranth to create healthy Genesis 1:29 breads and English muffins.